"Senecio" was published by Dali's Lovechild in 2016. Dali's Lovechild is currently in hiatus but hopefully their publishers will bring it back, because it fills a need for literary surrealism. 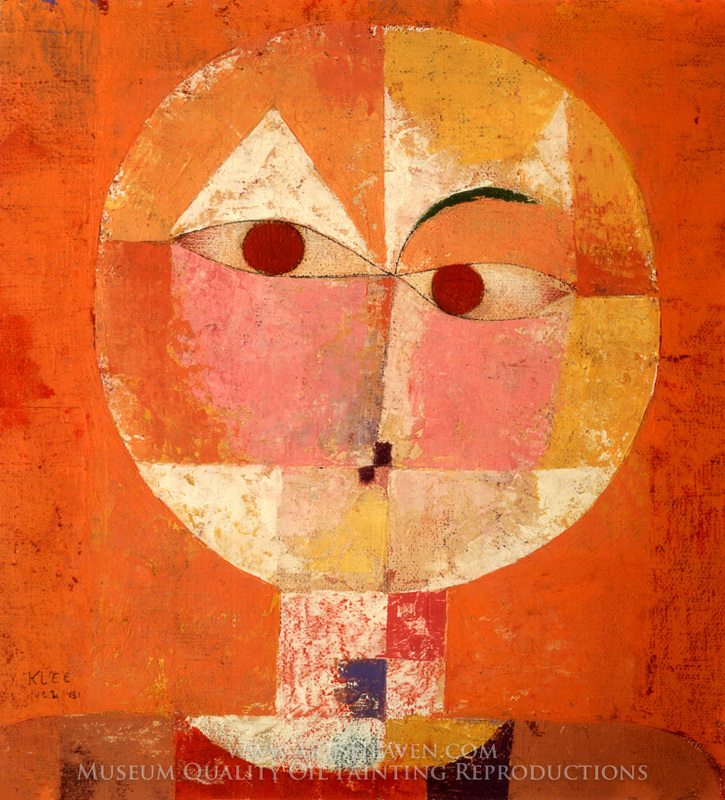 "Senecio" is an ekphrastic poem, inspired by the Paul Klee painting of the same name, found here: Senecio, by Paul Klee. And "Claire de Lune" was playing on a replay loop in my head while writing it. Enjoy! amarilla voice, crossed rightward-shifting eyes. Mouth like a puzzle, before there were puzzles. hinted that it was the only way. The right way. zig-zag at dusk beside the riverbank until I couldn’t run. but I know. Know you are a green green girl. Girl like a candle, flit and gone. friend of painted ladies and for that, I crushed him. Still, I scribble tunes in cinnabar and chlorophyll. to Asturias. And I will know your blossom. Someday. i slaughtered you today i fashioned lion claws from zinc and sheep bone shards tore your kissed skin away red strip by strip i gouged your flesh down to the fascia arteries and spine and made a hat of she wolf fangs to gnaw your holy skull i chased you like a rabid leopard dragged you stretched you up and gored you until fragrant blood and water spurted like a wine flood yes i did all this today and i confess that i will slaughter you again. tomorrow.